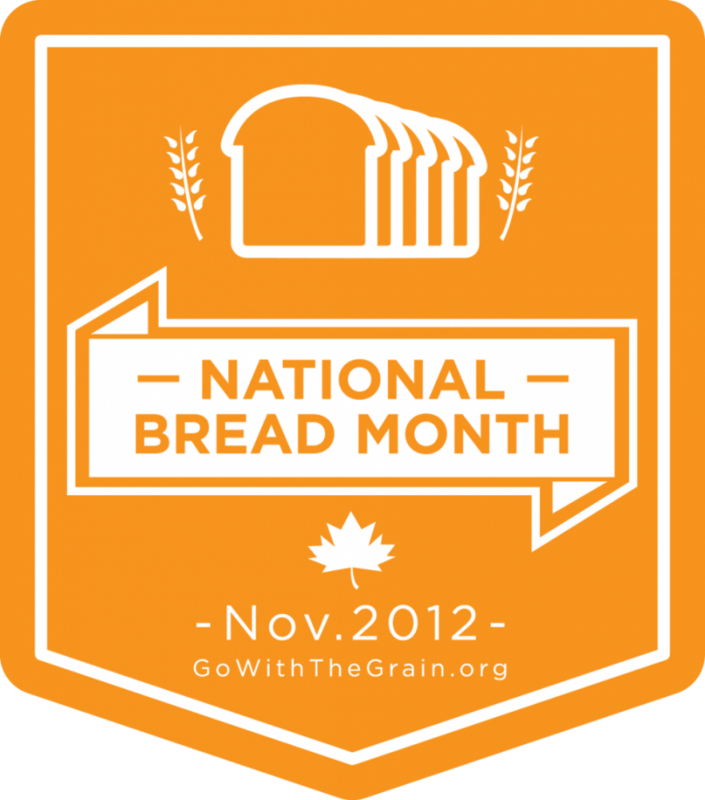 Did you know that the month of November is National Bread Month? I knew there was a reason why November is one of my favorite months. You know, besides the birth of Princess Nagger and one of my favorite holidays, Thanksgiving. This year is also the 250th anniversary of the sandwich. Bet you didn’t know that either, did you? In 1762 Sir John Montagu, the 4th Earl of Sandwich (naturally), requested his dinner meat be served between two slices of bread because he didn’t want to put his cards down in the midst of a game of poker. An avid gambler, Lord Sandwich did not take the time to have a meal during his long hours playing at the card table. To keep up his energy, he would ask his servants to bring him slices of meat between two slices of bread; a habit well known among his gambling friends. Because John Montagu was the Earl of Sandwich others began to order “the same as Sandwich” – hence the ‘sandwich’ was born. Apparently she had more fun playing with it and wearing it more than she did eating it. Fun times. Since I like to keep things interesting, I opt to do their sandwiches with a little bit of creativity – as outlined in a Sandwich Wars scenario I had with a former fellow blogger a few of years ago (Eileen, where are you?) which was great fun. 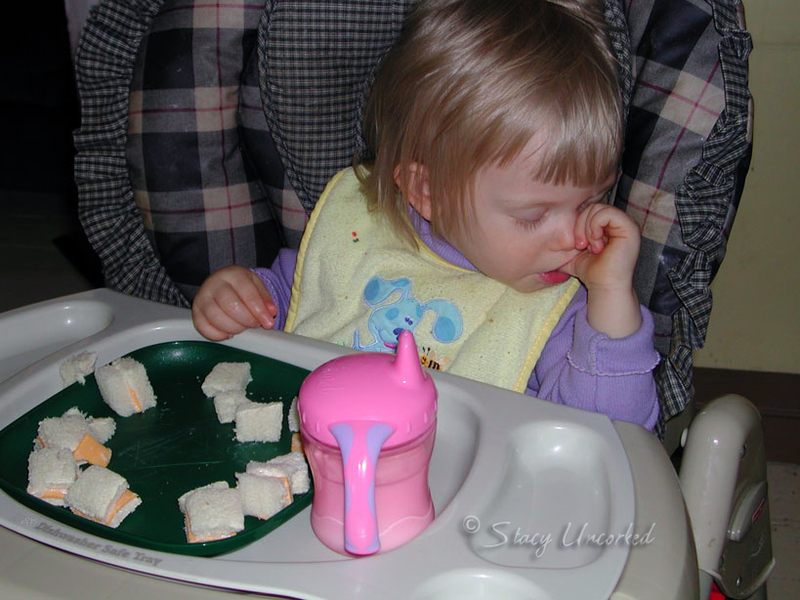 Luckily Princess Nagger was a willing participant in said Sandwich Wars. When she started school, on the days she wasn’t going to eat in the cafeteria and would bring lunch instead, I wanted to make sure her lunches were fun. So I bought a dinosaur sandwich cutter, and all her little friends and classmates were duly impressed with her eating dinosaurs for lunch. 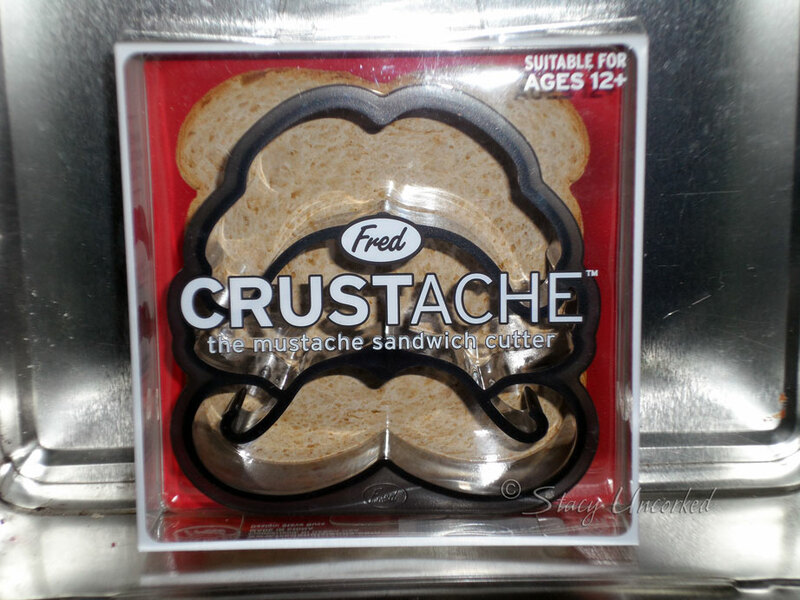 Regardless of if you’re making edible dinosaurs or mustaches, the key ingredient to any sandwich is bread. Bread is not only the foundation of a great sandwich, but the complex carbohydrates in bread and other grain-based foods provide lasting energy the human body needs on a daily basis. Along with energy, bread and grain foods provide many essential nutrients our bodies need to stay healthy and help fight diseases such as heart disease, diabetes, some cancers and birth defects. Whole grains are a good source of fiber and complex carbohydrates, and are naturally low in fat. Enriched grains are also a good source of complex carbohydrates and are one of the major sources for iron and folic acid in our diets. 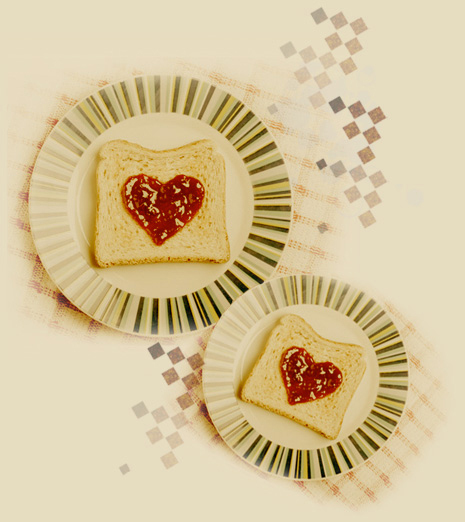 When it comes to celebrating National Bread Month and all that there is to love about bread, no one is more well-prepared than the Grain Foods Foundation. Grain Foods Foundation is a joint venture of members from the baking and milling industries, and allied suppliers formed in 2004. Its mission is to advance public understanding of the beneficial role grain-based foods play in a healthful diet. You can find out more information about the Grain Foods Foundation at GoWithTheGrain.org, on Facebook and on Twitter. Their website is definitely worth the visit to see the plethora of nutrition information, along with recipes and tips that are invaluable. 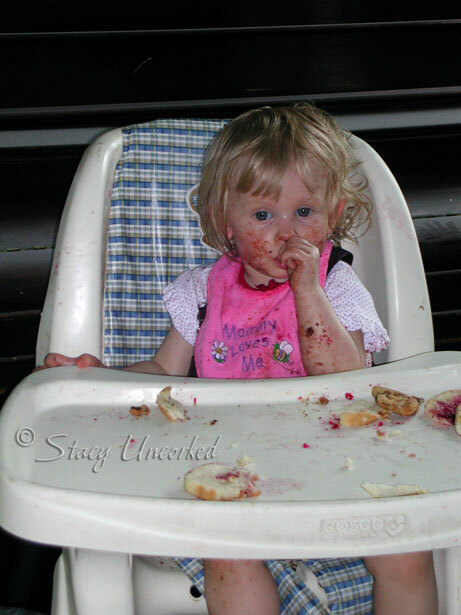 Note: I wrote this review while participating in a blog tour for Mom Central Consulting on behalf of the Grain Foods Foundation. I received a promotional item to thank me for taking the time to participate. As always, all opinions are mine and not influenced by outside sources. See my Disclosure Policy here. This entry was posted in Announcement, Review and tagged american cheese, Announcement, creativity, earl of sandwich, fun times, john montagu, lord sandwich, month of november, National Bread Month, peanut butter and jelly, peanut butter and jelly sandwich, Review, sandwiches, sir john by Stacy (the Random Cool Chick). Bookmark the permalink. little mans favorite sandwich is from subway and it’s a bacon,chicken sandwich with ranch, honey mustard and chipotle sauce. I don’t have a favorite sandwich, I have favorite breads! Love them all. 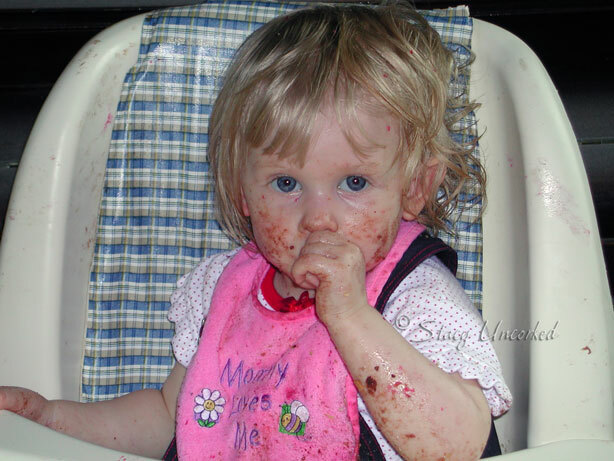 The messy photos of your daughter are some of the best I’ve seen. 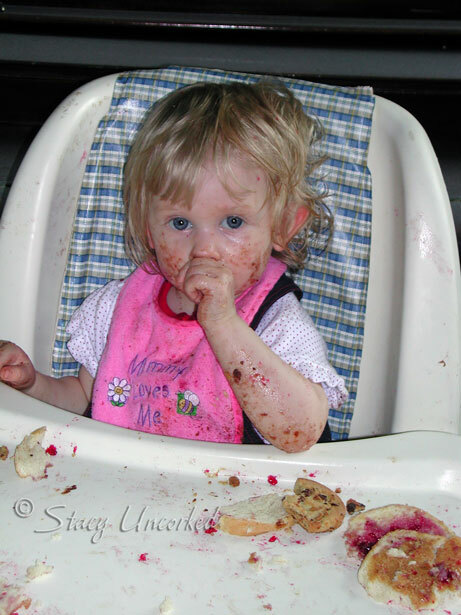 How cute, your that kids really love eating strawberry cookies..